It was another beautiful Sunday morning for my photo shoot this week, and although the day started with a chill in the air, it got progressively warmer as the morning went on. 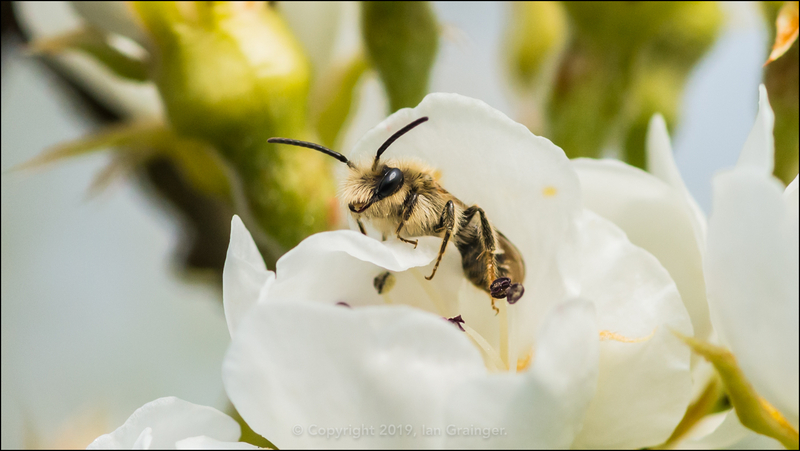 The warming conditions meant that my bug buddies were back, and I found this Mining Bee (Andrena) enjoying the Pear (Pyrus) tree blossom that had opened up in the sunny conditions. There were quite a few Flies (Diptera) about too, and I found this one resting on the remains of a Winter Honeysuckle (Lonicera fragrantissima) bloom. 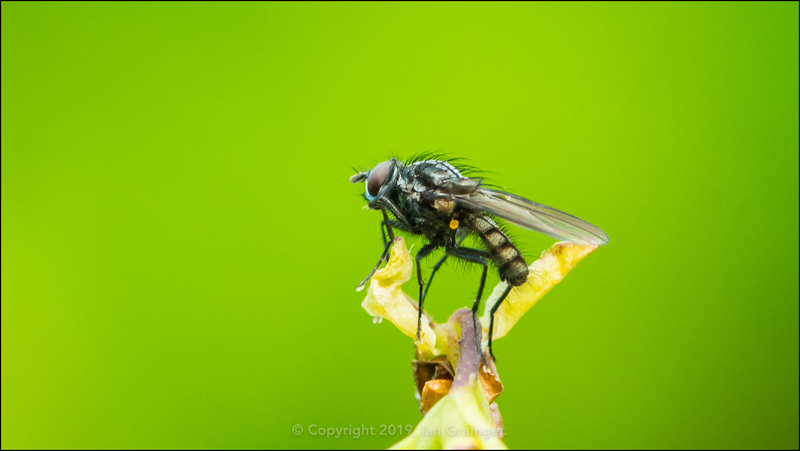 I'm no expert in determining fly species, but have it on good authority that this one is from the Anthomyiidae family! 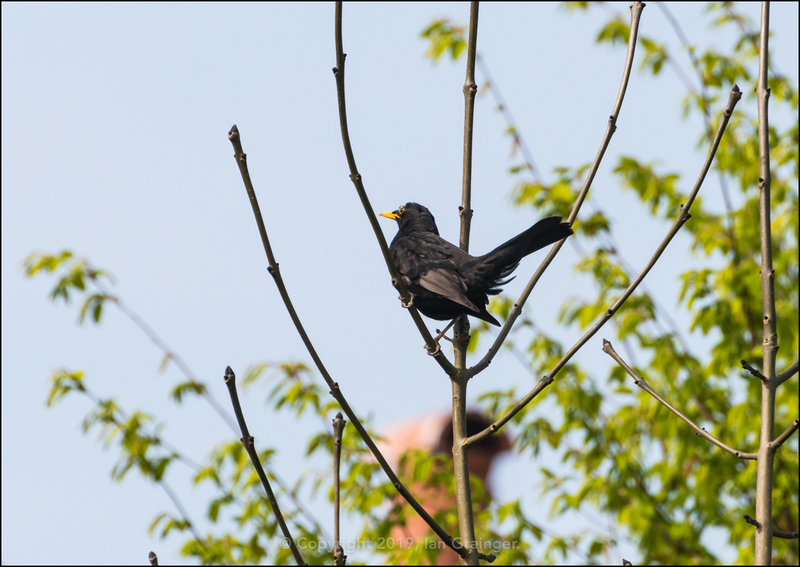 The Blackbirds (Turdus merula) also seemed to be out in force with lots of males competing for territory in the garden. I witnessed quite a few squabbles between them in a relatively short period of time. 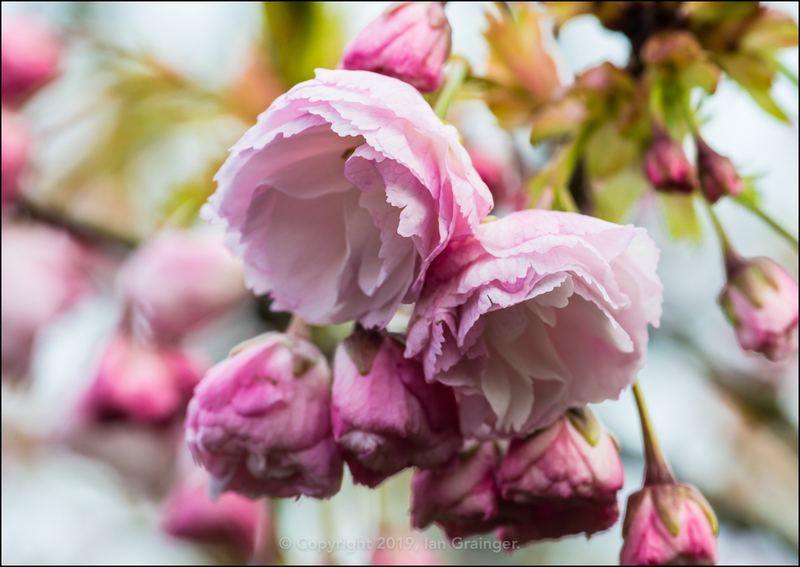 The Cherry Tree (Prunus) was still mostly full of flower buds, but there were a few buds that had opened, and were looking as pretty as ever. 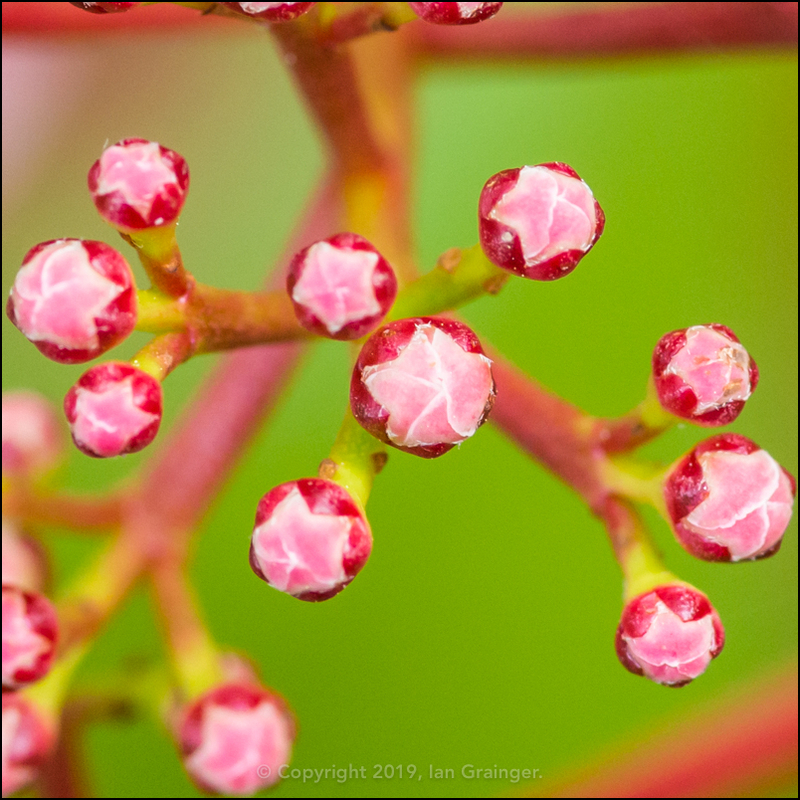 The Red Robin (Photinia fraseri) bush was still in the budding stage, but it looked like the blooms would be with us sooner rather than later. 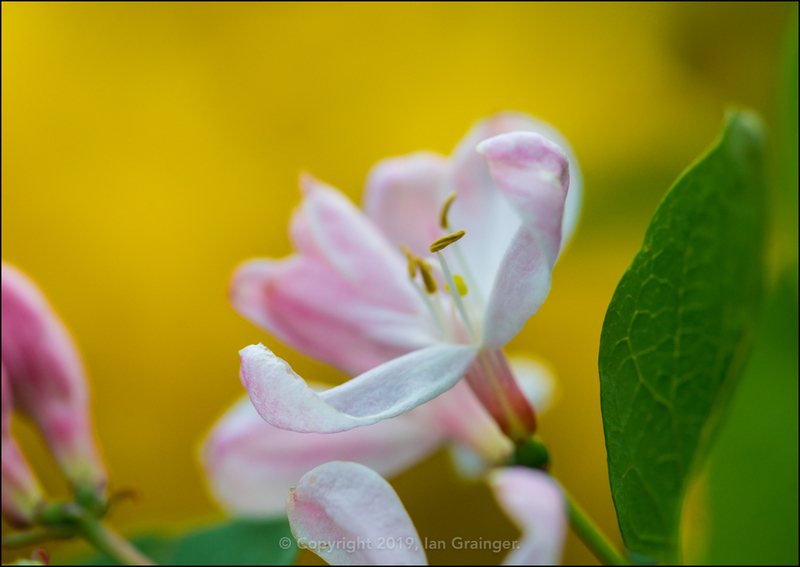 The blooms on the Tartarian Honeysuckle (Lonicera tatarica) were becoming more profuse, and were looking rather lovely against the yellow of the Forsythia (Forsythia intermedia) bush flowers. 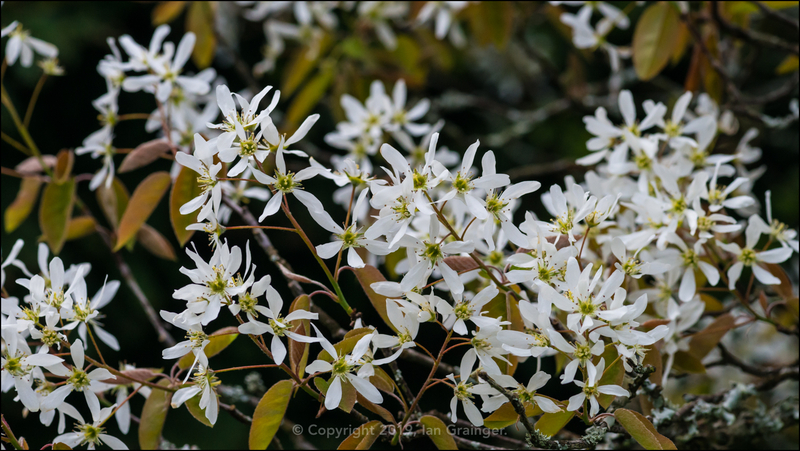 Thankfully it hadn't been too windy in the last week, so the blossom of the Amelanchier tree was still intact. 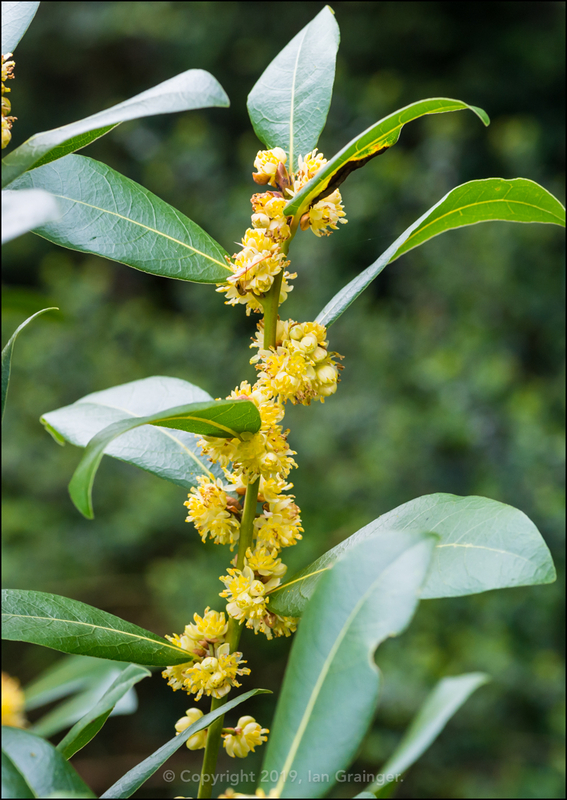 I'd never seen so much blossom on the Bay (Laurus nobilis) trees before. The branches were absolutely covered in clusters of blossom. 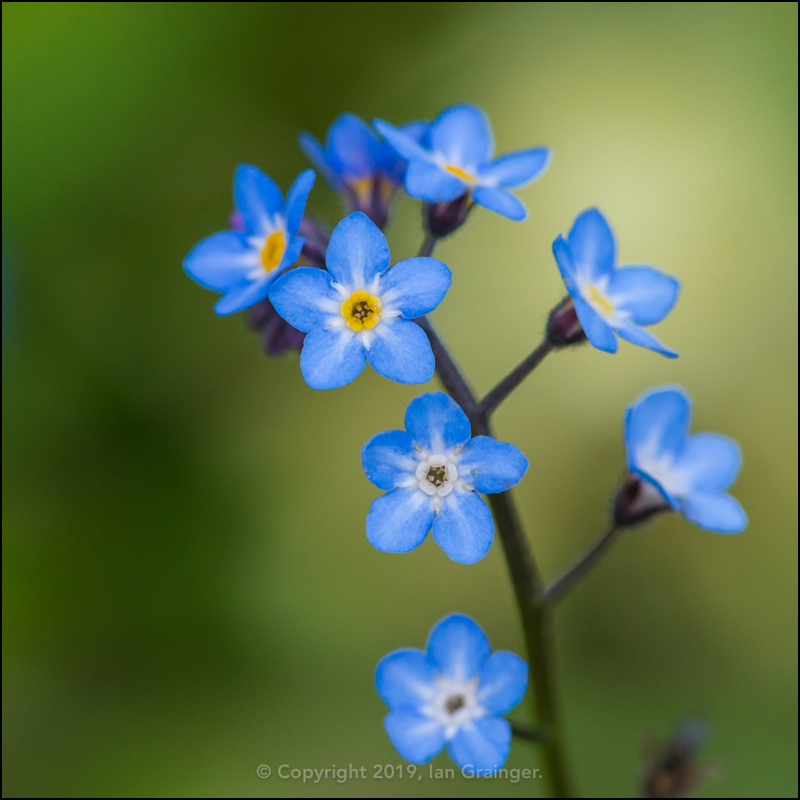 The beautiful blue Forget-me-nots (Myosotis) were gaining traction in the garden, and were popping up all over the place. 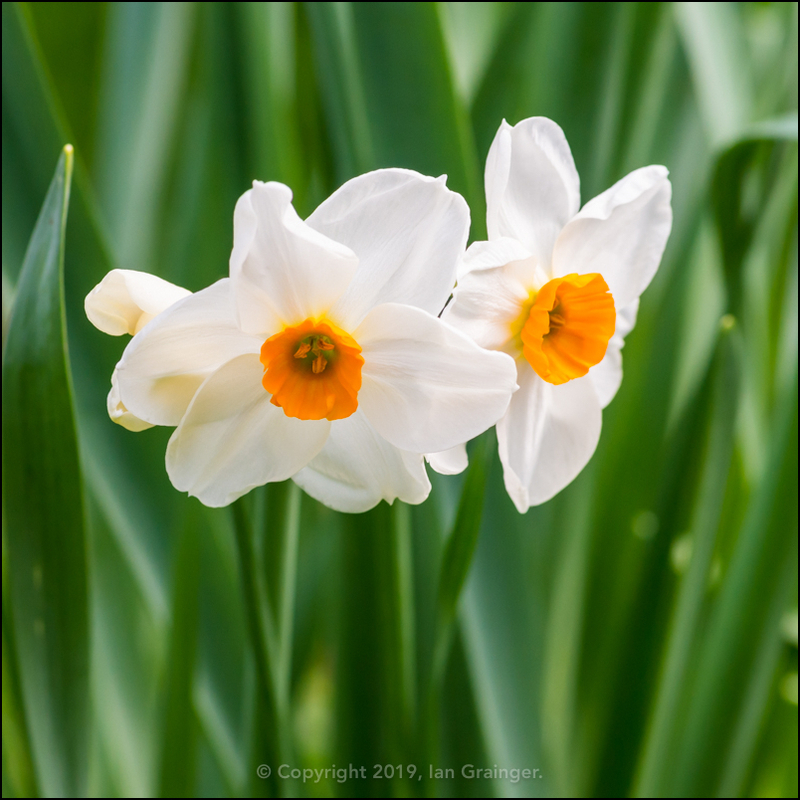 Although most of the Daffodils (Narcissus) were going over, there were still a few surprises left. These triple headed ones had left it late to come to the party, but were still the most welcome of guests. 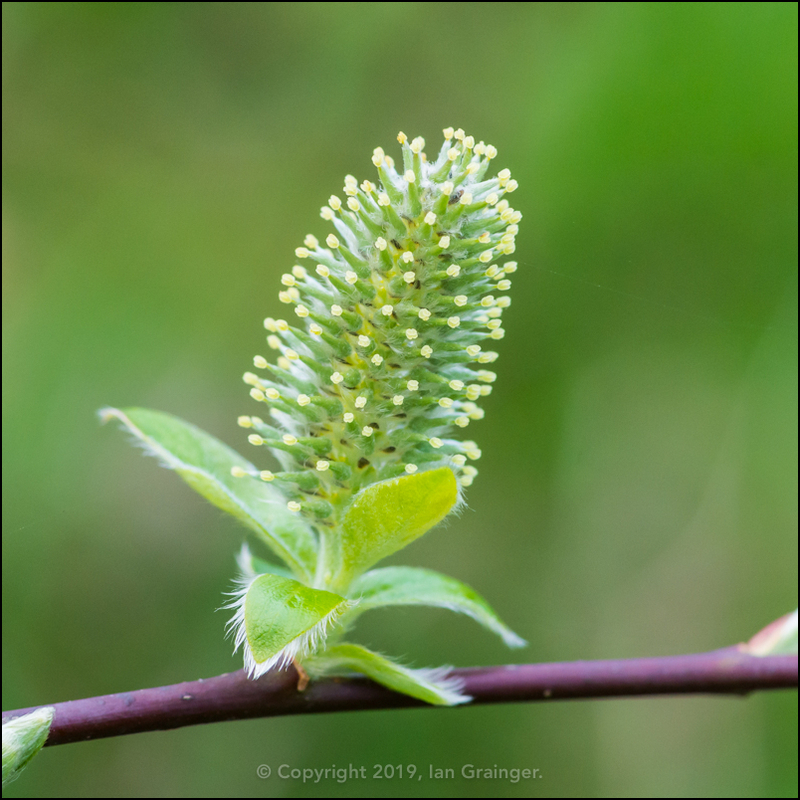 The Willow (Salix) tree catkins were progressing nicely, and were now open for business for any passing bug or beetle. 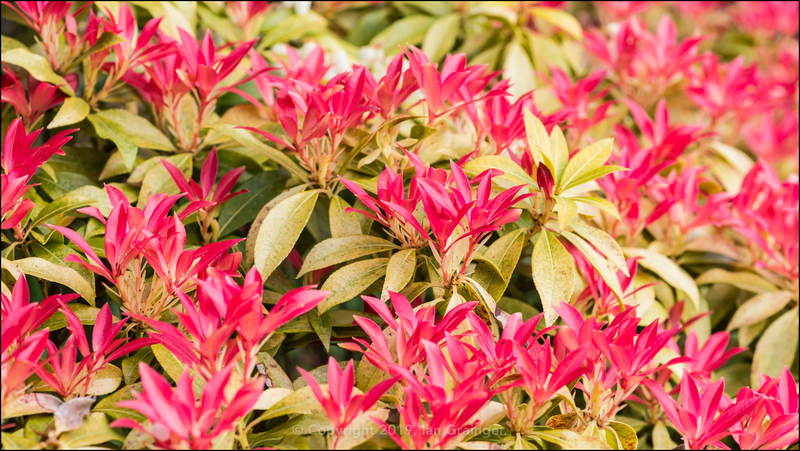 Finally, the Forest Flame (Pieris) bush was now showing how it got its name, displaying its wonderful fiery red leaves.